I’m a former Scotland Yard investigator with the Metropolitan Police. I’ve worked on a wide variety of cases over the past twenty years or so. During my career I’ve searched thousands of properties, interviewed hundreds of witnesses and chased numerous dangerous criminals. And today I use all of that knowledge in my writing, as the author of a series of detective thrillers starring DI Jake Flannagan. 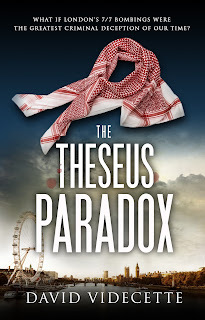 ‘The Theseus Paradox’ is the first novel in the series and is based around the five years of my life which I spent investigating the 7/7 London bombings as a detective with the Anti-Terrorist Branch. I live in London and have two children, and when I’m not writing, I consult on security operations for high-net-worth individuals. I think I was first inspired to become a writer when I won a school competition to meet Roald Dahl as a child. I loved ‘Danny, The Champion of the World,’ because I felt it was the first book that showed how the real world worked; how people (in this case poachers) operated on the edges of society and how borderline nefarious behaviour can win the day. 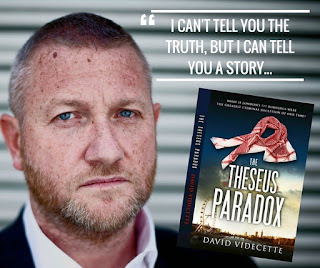 In about 2007, after working on Operation Theseus, the 7/7 investigation, for two years - I realised that I had to become a writer because I had so many stories buzzing around in my head. I like to imagine it’s a bit like being pregnant. I have to nurture a book and then give birth to it. Though at the time I didn't have the confidence that I could actually do it. It was only later that the confidence came - when I started writing a few blogs and putting them out on social media to see what the response was. It was a positive one - so I took the plunge and wrote my debut novel. And now I've got the bug, I'm going to keep doing it! I write for readers who want to have their eyes opened to how things really work. The aim is to paint a very vivid and realistic picture of the pressures on our police and security services and what goes on in the seedy underbelly of crime. To catch the bad guys you have to think like one of them – and that’s why the best detectives always have a dark side. What is your writing process and how long does it take? Firstly I dredge up everything from the recesses of my mind that I can remember about a case. Then I spend a lot of time researching facts that I intend to use as part of my story and new developments on old investigations; I have to understand those fully before I set about crafting my story to nestle amongst them. When I'm not writing, working in my other role as a security consultant or with my kids - I am reading, constantly, trying to soak up as much information as I can. I read a lot of news and factual articles to assist with my understanding of current events or investigations from the past. The Internet is fantastic nowadays and you can find information on anything in seconds. My editor is always shocked by the things I find out by simply using it as an open source intelligence tool! Personal experience is going to be the basis of all my books. 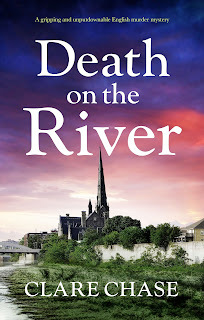 My lead character, Detective Inspector Jake Flannagan is based on me in terms of the professional experience - and I guess in an emotional sense too. The book condenses all my experiences of the 7/7 London Bombings investigation into just a few short months and shows what happens when bereavement and PTSD can affect an officer’s wellbeing. Obviously there are some things that Jake does which are not very nice or very legal…but I can’t tell you what’s fact and what’s fiction – only the reader can decide! I would say that all my characters are based on someone or a mixture of people - though some are more obvious than others. I have a sign in my kitchen that reads, ‘Don't upset me or you will end up in my next book’! I'm very 'messy' when I write. I don't start at the beginning and don't write in any particular order. I write what's in my head. I therefore couldn't write with anyone who was too organised. Tricky. I have many... possibly Stephen King’s ‘The Stand’. It would have to be Thai Green Curry, Chicken in Black Bean Sauce, or Chicken Korma... perm anyone from three. I couldn't choose between them. That’s an easy one. ‘The Great Escape’. I used to watch it every day on VHS as a kid. I must have seen it a thousand times or more. I know it word for word. I'm a huge Steve McQueen fan, so the film ‘Bullet’ comes a pretty close second. I watch a lot of films. I will often watch a decent movie five or six times, noticing different things in it each time. I'm a sucker for trying to spot something different like a hidden message that the director has tried to hide or weave into the storyline somewhere along the way. Thank you shell I have enjoyed it. Great Q&A, Shell and David. 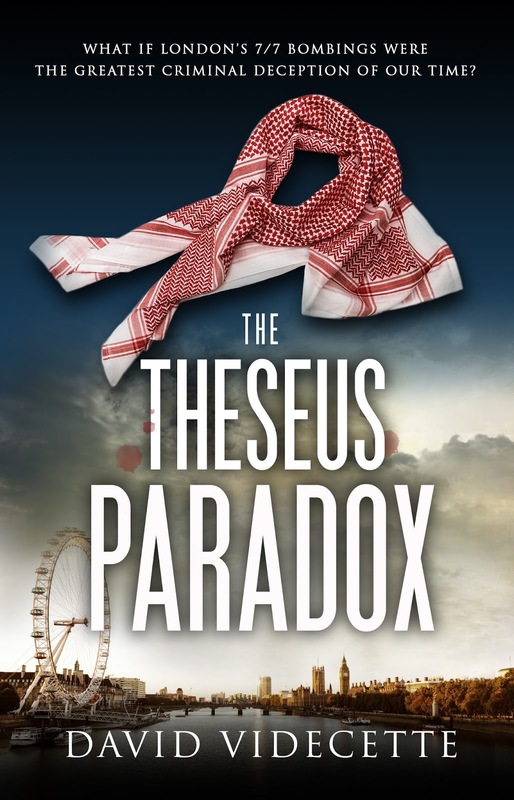 Really interesting blog, full of insights into your world, and highlights, for me, how real and aithentic The Theseus Paradox is. Great stuff, looking forward to book two!